The Samsung Galaxy Stellar, a device I admittedly know absolutely nothing about because of its low-to-mid tier status, will receive Jelly Bean from Verizon some time in the next week or so. With Android 4.1 comes Google Now, better notifications, Project Butter, and so much more. 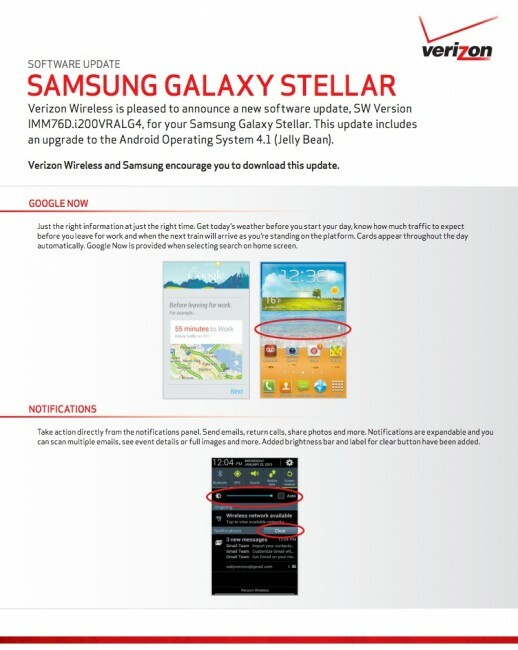 It’s the update that all Android devices have been hoping to see since Google first announced it at I/O last year. Along with JB, the Stellar will also support 64GB microSD cards going forward and allow Verizon to tap into your phone with their Remote Diagnostics tool. There are a bunch of other minor tweaks in there as well, which you’ll find in the changelog below. The update is 403.6MB in size. How you feelin’ DROID RAZR owners? Stellar +1. 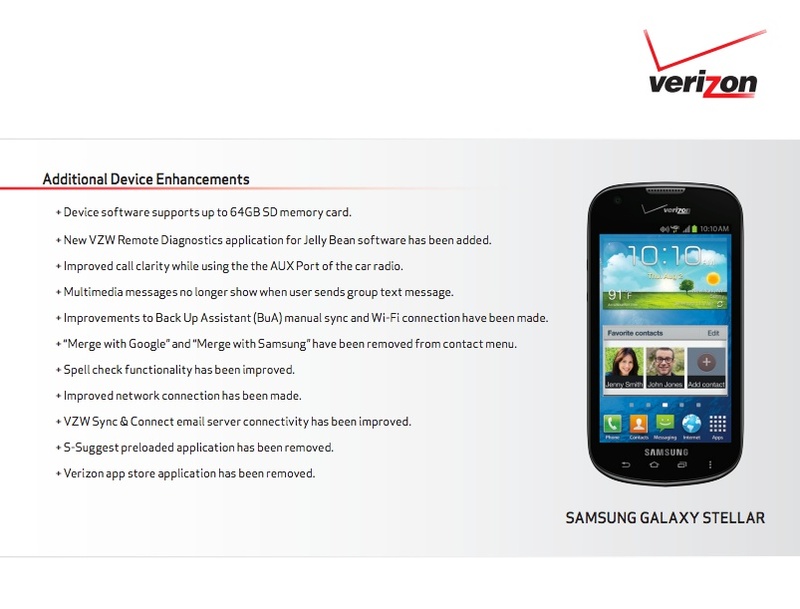 LG Intuition Update on the Way, Includes a Number of "Enhancements"